Is Old Wine Safe to Drink? I get this question all the time. 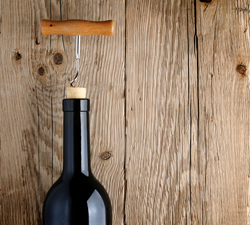 A person finds a bottle of wine stashed in a back attic corner or in the basement. It’s from 1950 or some earlier year. They are curious to try the wine – but want to know if it will poison them or something.